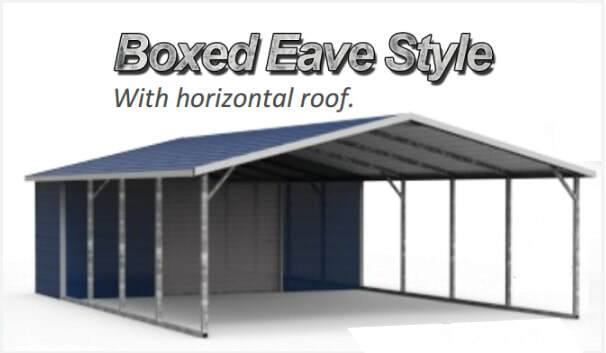 Combo units or Carports With Storage are offer versatility. 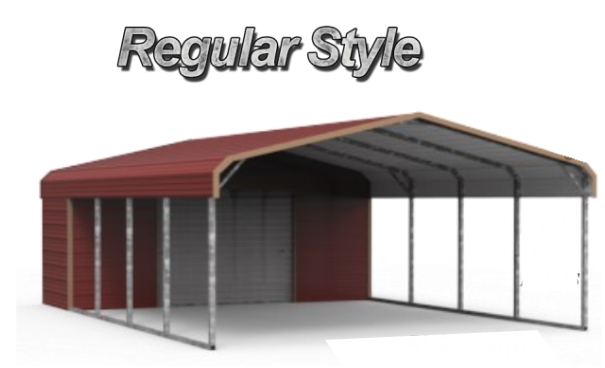 These buildings come standard with a 6x7 roll up door and 5 foot depth of storage space. 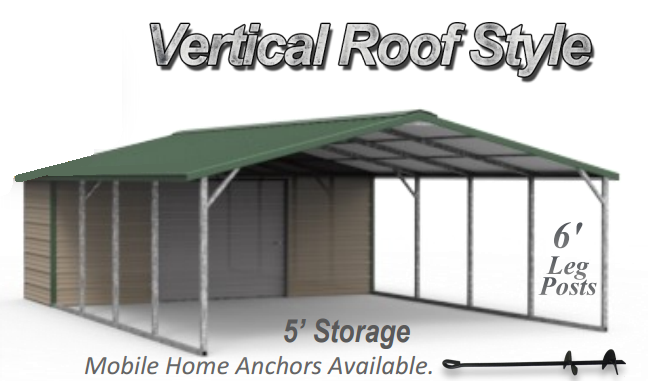 This of course can be modified to accomidate your every need.